AEEE 2019 Application Form is available from 19th October 2018. The Amrita Vishwa Vidyapeeth or Amrita University has released AEEE 2019 application form for all those who are going to appear in Amrita Engineering Entrance Examination 2019. The application form is available in both online as well as offline mode. Amrita University conducts an engineering exam for admission to B. Tech course. 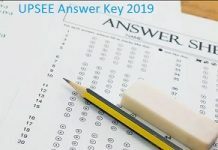 All those who wish to apply for the engineering exam have to fill out and submit AEEE 2019 application form. The AEEE 2019 online registration can be done at www.amrita.edu. Students who wish to apply offline for AEEE 2019 can fill the OMR application form sale outlets including post office, Dhanlaxmi Bank, Federal Bank, or buy it from the counter of Amrita Schools of Engineering at Amritapuri, Bengaluru and Coimbatore. Candidates can now fill the Amrita Application Form 2019 till 15th April 2019 which has been extended from 10th April 2019. All the candidates applying must make sure that they fulfill all the eligibility criteria before applying for Amrita Engineering Entrance Exam. AEEE application form 2019 must be filled and submitted before the last date of submission with correct details. In case ineligible candidates fill the application form, their application form will be rejected during verification. Candidates can check the details of AEEE application form 2019 in this section. Candidates can apply through online or offline mode. The application form is released on the 19th of October 2018. If the candidates are applying through offline method then they should send a Demand draft from any nationalized bank along with the filled application form to the University. The candidates need to pay the application fees mandatory otherwise their application process will not be considered complete. Upload the recent scanned photograph and signature in a JPG/JPEG format. The size should be 20 KB. Candidates have to keep at least one copy of the filled application form & confirmation page for future use. Have any questions in mind? Don’t forget to ask us in the comments section below! Candidates can fill the AEEE online application form 2019 from the official website. The Amrita University application form 2019 is available from 19th October 2018. Students have to visit the official website to view AEEE online application form. Applicants have to register online and provide details like Name, Date of Birth, Email-ID, Mobile Phone Number, School Last Studied, Mode of AEEE 2019 examination, Test Centre, etc. The next step is to upload the scanned images of the candidate’s photograph and signature in the correct specification. Candidates also have to pay the prescribed application fee either in the online mode or the offline mode. Students also have the option of filling the AEEE 2019 application form in the offline mode. Those who do not wish to submit the form from the official website can procure the offline application form of AEEE 2019 and submit the same. Candidates have to collect Amrita Application from the Federal bank, and Dhanlaxmi Bank by making a payment of ₹ 1000. One can also get the application form through post from the Admission Coordinators at Amrita Schools of Engineering. The AEEE Application form 2019 can also be procured from physical counters at any of the three campuses by paying the fee in form of DD. Applicants can access the form which will be available at the specified Head post office across all the states. The filled up OMR application form of Amrita University has to be sent to the address – The Admissions Co-ordinator (B.Tech. Admissions), Amrita Vishwa Vidyapeetham,, Amritanagar (P.O. ), Ettimadai, Coimbatore 641 112, Tamil Nadu. All students who are going to fill up the AEEE 2019 application form are also required to pay the AEEE 2019 Application fee. Applicants who are filling up the application form in either online or offline mode will be required to pay an application fee of Rs. 1000 for all category candidates. Students can pay this amount in either online or offline mode. For those who are filling up the offline form, have to submit the fee through Post Office, Dhanlaxmi Bank and Federal Bank. Those candidates who are paying through a demand draft, have to make a DD drawn in favour of Amrita School of Engineering payable at Coimbatore. Candidates should write “B.Tech Application”, Name and Mobile number at the back of Demand Draft. And online application candidates can pay AEEE application fee 2019 through internet banking, credit card and debit card. Before filling up the Amrita University Application Form, candidates must make sure that they fit to all the eligibility criteria as laid down by the University. Ineligible applicants will have to face rejection of candidature at the time of certificate verification. The applicant’s birth date must fall on or after 1st July 1998. The candidate should pass their 12th standard or its equivalent from a recognized board. The candidates should obtain 60% aggregate marks in the qualifying exam. Mathematics, Physics, and Chemistry with not less than 55% in each of these three subjects are necessary subjects having in 12th class. Appearing candidates of 2019 can also apply. If you have any suggestion or questions in mind, do ask us in the comments section below! i have finished my AEEE 2019 application form and payment is also done.i suspect that my application will be rejected because the photo i uploaded was not with high clarity.how will i know if my application is rejected?Is there a chance to re apply??? If you have done the final submission and the payment is also done it means that your application has been accepted. If there was some problem with the photo, you would have been notified that your application is rejected before the payment. If you still feel there is any form of problem with the photo uploaded, you will be able to rectify it through an option of Application Form Correction, if it will be made available by the University.